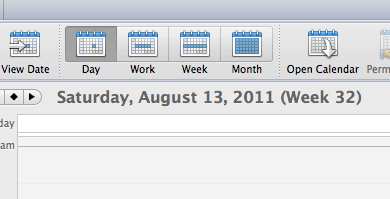 When Outlook 2011 for mac initially shipped, Microsoft left out the feature of showing week numbers in the outlook calendar. Microsoft fortunately added the feature with the release of Office for Mac 14.2.0 Update – SP2. Here’s how to add it. 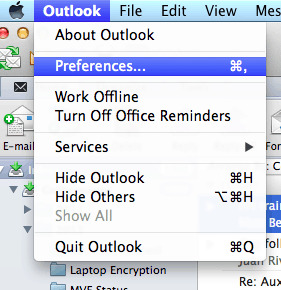 Open Outlook 2011 and Click Outlook, Preferences. Check the box Show week numbers. 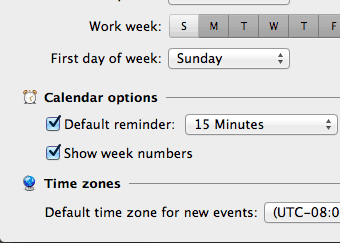 The week number will be displayed at the header of each of your calendar pages.